He was born 14 April 1906 – 25 March 1975 King of Saudi Arabia from 1964 to 1975. He emerged as an influential royal politician under his father King Abdulaziz and brother King Saud. 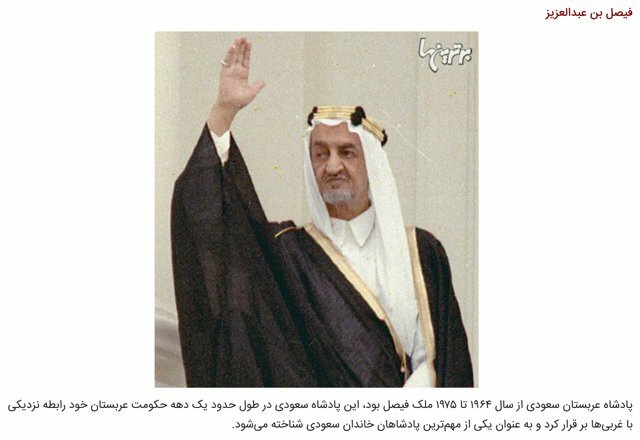 As the result of a struggle for power with King Saud, Faisal overthrew Saud in a coup and became king himself.